Teddybear cholla cactus (cylindropuntia bigelovii) in Joshua Tree national park’s Cactus Garden, which straddles the border between the Mojave and Colorado deserts. An extraordinary place. The spines get embedded in your skin despite you not realising you’ve touched them. I was picking them out for days afterwards. A prickly pear cactus in the northern part of Joshua Tree national park. Not sure whether this is the chaparral or Texas variety of the plant. Tell me if you know. Apparently, Charles Darwin was the first to describe these cacti’s thigmotactic anthers: when the anthers are touched, they curl over, depositing their pollen. The north to south road in Joshua Tree NP commands views south to the Colorado desert including the eco-disaster that is the Salton Sea and settlements with picturesque names like Slab City and Bombay Beach. The Mt Palomar observatory – from 1949 until 1992 the world’s most important optical telescope. A monumental building on a 6,000ft mountain. The glass used for the mirror of its largest telescope, the Hale, took a year to cool down and more than a year to prepare for installation in the late 1930s. The 200-inch optical instrument has played a key role in discovering asteroids, dwarf planets and the Shoemaker-Levy 9 comet. This picture was taken just as a rare (and violent) high-summer thunderstorm broke overhead. It had been forecast to be the hottest day of the year so far, but the Mexican monsoon (which occasionally draws moist air from the Pacific and/or Caribbean into the mountains of southern California in the summer) had different ideas and decided to add hail, torrential rain, high winds and a lot of electricity to the mix. Joshua Tree national park. Joshua trees are extraordinary. Members of the yucca family, they are pollinated by various sub-species of yucca moth in different parts of the desert. Like the pinyon pines they are threatened by climate change. A monarch butterfly caterpillar gorges on milkweed, in my friends’ garden (in Temecula), which comprises mainly native plants. The monarch butterflies themselves are wonderful to behold; like flying stained glass windows, in orange, black and white. Their fluttering is interspersed with lengthy glides. Fascinating to watch. The gorgeous garden in Temecula attracts several spectacular butterfly and hummingbird species, none of which were available for photographs! Santa Rosa Plateau ecological reserve, north west of Temecula, Riverside county. This superb protected area is a hub for native flora and fauna, including mountain lion, red diamond rattlesnake and San Diego alligator lizard. California oak woodland, with Engelmann oak, is a rare and treasured habitat as is purple needlegrass prairie. We saw a pair of white-tailed kites here and what I thought was a flash of tarantula retreating further into its hole. I subsequently learned this was unlikely because these spiders were currently ‘estivating’, ie spending the hot dry season in a period of torpor – like hibernating but in the wrong season. However, it was in a deep hole and the light had caught its movement. If not a tarantula, it was a larger spider than I’m used to seeing! At Mt Palomar state park the ecology (Californian mixed evergreen forest) makes a huge contrast when compared with the semi-desert, grasses and chaparral of neighbouring areas. The height of the ridge and attendant winter rainfall (762mm a year – 200mm more than London!) means there is a lot more verdant growth, but conifers are under attack from bark beetles and the number of dead trees was unsettling. The wildflowers here in spring are said to be stunning. Doane pond, Mt Palomar state park. This is a good spot to aim for when visiting the park, with lots of wildlife, a car park, picnic benches and several hikes through forest and meadow. The scene here, to me, is much more like how I imagined Oregon might look, not somewhere so close to the Mexican border. The view south-west from Mt Palomar’s Boucher Hill fire lookout post (5,400ft). Sadly I didn’t think to take a picture of the striking 1948 watch tower itself. But I noticed that the – possibly volunteer – ranger manning the post took her job very seriously, relentlessly scanning the southern horizon for smoke, despite a pretty powerful storm cell having passed through the region just two hours previously. California brittlebush (encelia californica) flowering in Temecula‘s meadows, currently being rewilded by local people through the Meadowview community group, with guidance from botanists and soil experts. 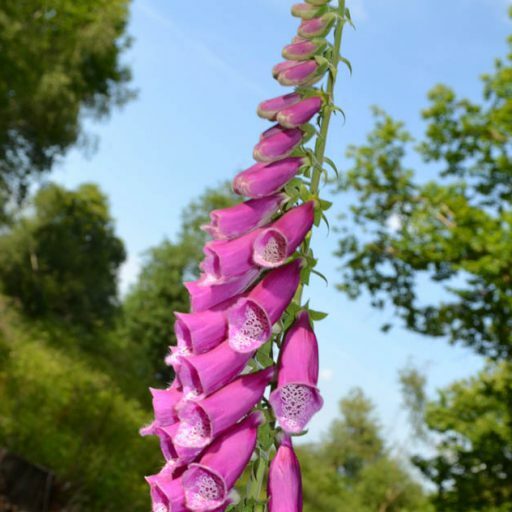 The meadows of Temecula are a superb resource for local people and look set to become a particularly valuable one for native fauna and flora, educationalists and naturalists, too. With so much development around encroaching on to remaining wild spaces, such places are vital reminders of the authentic California that has existed for millennia. I visited this area on the northeastern shores of Lake Geneva in April 2018. I was covering the Cully Jazz festival for Jazzwise and possibly Guardian Travel. Vineyards, Epesses. The south-facing slopes of the Swiss side of Lake Geneva between Lausanne and Vevey-Montreux are lined with ancient vineyards set on terraces dating back to Roman times. They produce mostly white wine from the chasselas grape. Pictured is a vineyard at Epesses near the larger village of Cully. Epesses. Another view of the steep wine terraces with their maze of footpaths and irrigation channels. Charlie Chaplin’s house. Prevented from re-entering the USA in 1952 because of alleged communist leanings, the pioneering film actor, director and composer settled near Vevey and enjoyed a superb semi-retirement with his wife Oona O’Neill (daughter of playwright Eugene) and their eight children. He probably could have gained entry to the US had he pursued the issue but he decided to cut his ties with the country. He never regretted his decision to move to Switzerland despite never mastering French or German and he soon found this beautiful house – not a bad pad for a boy born into poverty in Lambeth, who was forced to live in a workhouse at the age of nine. The house is now part of a superb museum. Montreux. Another local resident was Queen founder and vocalist Freddie Mercury, honoured by this imposing statue. He didn’t like the town when he visited with the band in the late 1970s but ended up regularly recording there (despite initially saying they should have put the studio at the bottom of the lake!). After his Aids diagnosis in 1987 Freddie apparently felt more at home in Montreux, enjoying the fact that he didn’t attract a lot of media and unwanted attention. Les Rochers de Naye, near Montreux. A cog and wheel train takes you near the top of Les Rochers de Naye, a 6,500ft mountain. The walk to the summit from the cafe seen in the picture is hard work in 10ft of snow, which even in mid-April, was still lying around after a tough winter. The distant mountains seen in this picture include giants like Wildhorn, the Eiger, Jungfrau, Mönch, Finsteraarhorn and Gletscherhorn. Two golden eagles circled around me at the time I took this photo. Les Rochers de Naye. The foreground view is dominated by the limestone pinnacles of the 6,000ft Dent de Corjon. Les Rochers de Naye. The view south to Les Dents du Midi, a range of mountains to the north of the Mont Blanc massif that rise to 10,686ft at La Haute Cime (on the right). The shape of these mountains has changed so often over the centuries, because of rockfalls, that they are constantly being renamed. Les Rochers de Naye. The cog and wheel train costs about €60 return and takes 45 minutes-1 hour to get to the top. Well worth it, even if dear, and an interesting range of fellow passengers joining and disembarking at colleges, villages and clinics en route. The winemakers’ village of Epesses is highly traditional and built to take up as little room as possible so as to allow more room for vines. Fantastic gorges, coastline, light, tavernas. An island with more charisma than anywhere else I’ve been in the Med. Not the best quality because taken on an iPhone SE. The Topolia gorge … mythical home of a Minoan godess, this spectacular ravine lies below the beautiful mountain road between Kissamos on the north west coast and Elafonisos in the south west. The hour-long walk there starts in Koukounara village or up at the Panorama taverna on the road. The locals will know which paths are best and how to extend or shorten the route. A great place to see birds of prey such as griffon vultures and Crete’s endemic flora. If you like oleander, you’ll love it. The ruined village of Samaria, uninhabited since the early 1960s. At about 5km into the gorge it’s the natural resting place for the many day trippers, with plenty of spring water on hand to fill water bottles and a first aid post for those who’ve turned ankles etc (easily done on the shoe-smoothed rocks on the trail). Cretan ibex frequent the village and happily eat banana skins. Not sure they should though. The village sprung up in Byzantine times and has been a great base for those seeking refuge from Venetians, Turks, Nazis over the years. Few attackers have made it through the Iron Gates downstream from here. A wonderful atmospheric place despite the surprisingly high numbers of people daily taking on the 15km walk. Just one of the many inspiring vistas from the upper reaches of the Samaria gorge. A distant peak of the White Mountains can be seen, possibly Pachnes, the highest summit in the range at over 8,000ft. The canyon is alive with colour and a huge variety of trees with ancient cypresses giving way to kermes oak, plane, pine and cretan maple. The air is washed in the scents of pine, marjoram, savoury, sage and thyme. High on the gorge sides are tracts of endemic plant dittany, a hairy evergreen said to have medicinal properties. Gramvousa island and Balos Bay. This wonderful place is still quite remote yet bizarrely overrun by visitors: cars must negotiate a 30-minute bumpy ride on a rough track from Kaliviani near Kissamos to reach a decent car park. Then there’s a 20-minute stroll down a rocky wind-blasted path. Finally a wonderful beach is reached of fine white sand between a lagoon and the Med. It was a surprise to me that so many people were prepared to do this, given the number of other great beaches around that are far easier to reach. So we became part of the cliched ‘tourist hordes’. On the way back drop in at the Gramvousa restaurant in Kaliviani which boasts good, reasonably priced food and remarkably good traditional live music. High in the Samaria gorge. Buses take tourists to the high Omalos plateau where there are tavernas serving hearty breakfasts. The steep walk down in to the gorge is slightly perilous because walkers have smoothed the stones, making them slippery. Also because you will be gazing at the marvellous views around you and won’t look a wuss before teams of tourists from all over the world. Boat to Paleochora … the Samaria gorge reaches the sea at Agia Roumeli and its black sand beach. Boats set off from here after 5pm taking tired walkers to Chora Sfakion to the east or Paleochora to the west to pick up their buses. The views of the remote, inaccessible south coast on the 90-minute voyage are tremendous. Towns like Agia Roumeli and Loutro can only be reached by boat; there is no road. The Samaria gorge eventually narrows down to about three metres in width. All those rocks are pretty hard on the feet and by this time – about four hours in – visitors will be feeling the effects. In summer the gorge’s river dries up, but this is partly because its waters are diverted by pipes running above ground, presumably for irrigation. But after October the river grows exponentially and makes the gorge impassable at many points, unless you have Cretan goat-like qualities. A dramatic cliff towering over the Samaria gorge. We saw eagles or vultures majestically soaring at this point. Bearded and griffon vultures, golden and bonelli’s eagles are often seen around the White Mountains. The cliffs – known locally as the Untrodden – are the preserve of the Cretan ibex or kri-kri, a feral goat which interbreeds with domestic goats. They’ve been here since ancient times when the Minoans imported them from somewhere. I don’t know I didn’t take a picture of the one I fed a banana skin to in the ruined village. Kissamos sunset. Western Crete is effortlessly beautiful. You can have an entire holiday of just sitting and gazing.